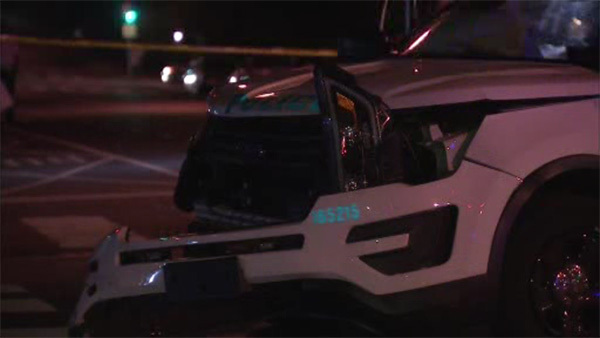 PHILADELPHIA (WPVI) -- Two Philadelphia Police officers and a civilian were injured in a vehicle crash Wednesday night. It happened just before 9 p.m. at Stenton Avenue and Upsal Street in the East Mount Airy neighborhood. A 14th district officer was responding to a call of a person with a gun when the police cruiser struck the rear of a civilian vehicle. All victims were taken to Einstein Medical Center for treatment.